Tidy stacks of fabric may be pretty, but sometimes I prefer a messy stack. Messy piles mean something good is happening, and something good is certainly happening with these! They also remind me how beautiful the traditional Christmas color palette really is. 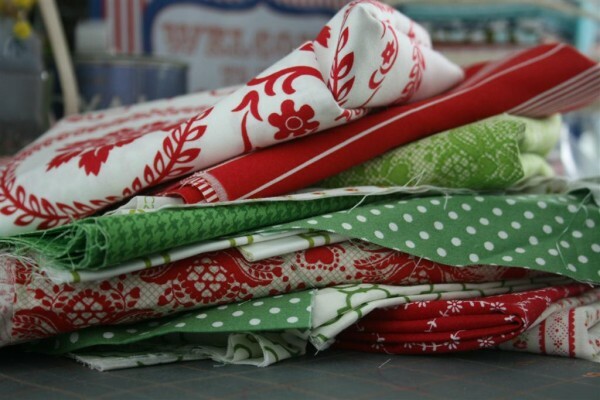 About a month ago I saw the Vintage Holiday quilt along starting up over at Fabric Mutt. I went back and forth over and over again in my mind before deciding to jump in. I’m so glad I did! This quilt is turning out to be a lot of fun. The blocks are simple and come together quickly, but even better than that, they’re turning out prettier than I thought they would! The QAL started while I was still on vacation so I had some catching up to do, but it was easy to accomplish. I find myself thinking about how fun it would be to make this in several different color schemes for different people I know. Ironically, I was most worried about that last block, number 6. I was afraid that the red on white print (Jennifer Paganelli) wouldn’t look right but I think it’s my favorite of the bunch! 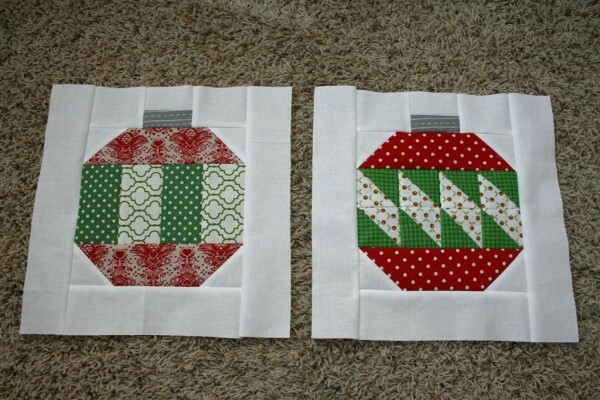 These fabrics were pulled solely from my stash and it is fun to use them together. 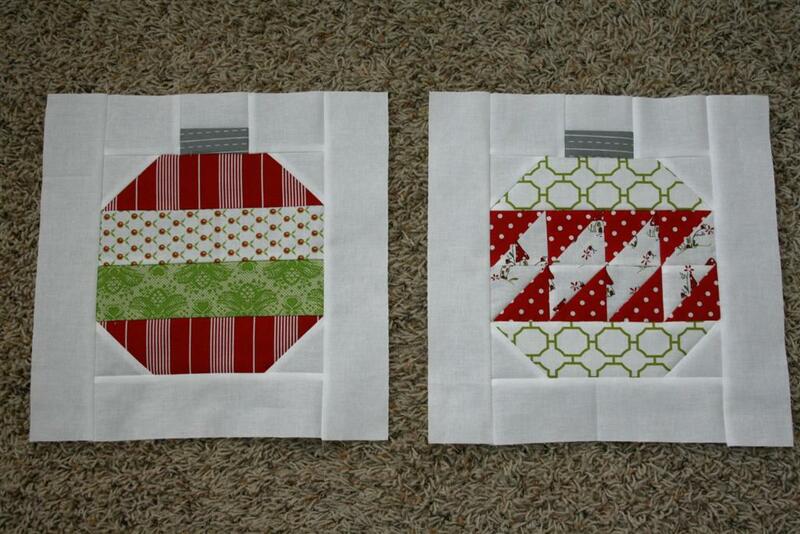 Now I’m caught up and the quilt is already half made. My kind of project! 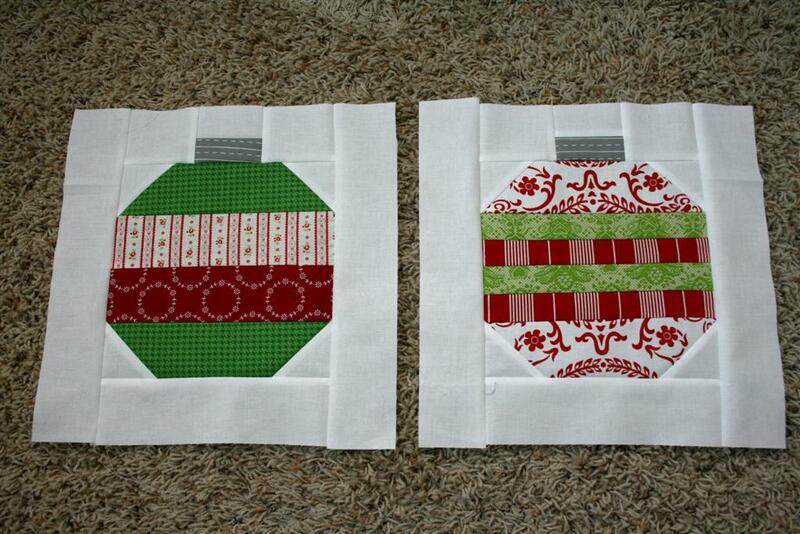 I’m hoping to do more holiday sewing this year, some as gifts and some just for the joy of it. I figure if I don’t start now there’s little chance of accomplishing anything so this quilt along comes at the perfect time. Do you have any holiday projects planned this year?